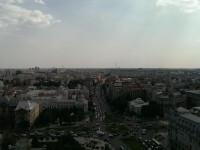 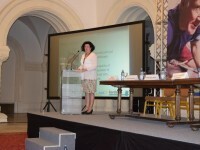 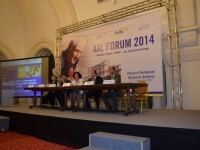 The PIA project were presented at the AAL Forum in Bucharest (Romania) at the Palace of Parliament. 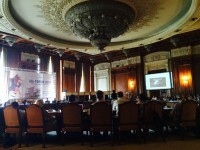 Some of the PIA partners admiring the huge palace. 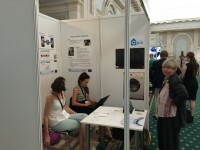 PIA project booth at the exhibition. 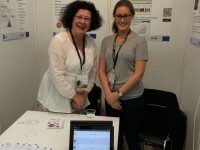 Riitta and Mari at the booth. 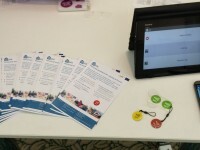 PIA brochures, NFC tags and the PIA app on tablet and smartphone. 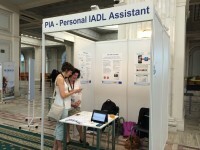 Online and offline version of the PIA app. 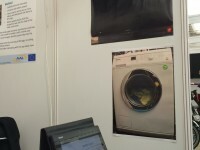 Posters of TV and washing machine with NFC tags attached for demonstration of the PIA system. 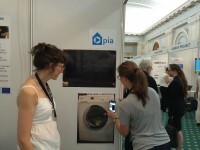 Mari demonstrates the PIA app by linking a video to an NFC tag. 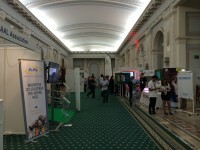 Parts of the exhibition hall. 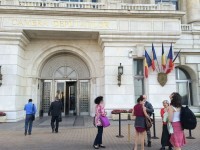 A session at the Human rights hall. 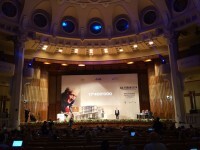 A session in one of the huge auditoriums. 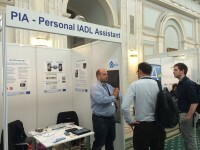 Riitta holding a presentation about assistive technologies. 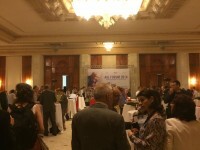 Network dinner at the palace. 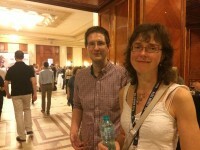 Joe and Rachael at the network dinner. 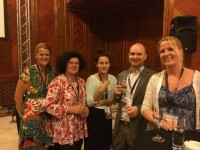 Lisa, Riitta, Anna, Lars Thomas and Solveig at the Network dinner. 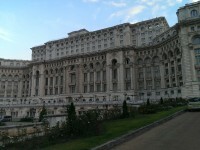 Concert and dinner at the Romanian Athenaeum. 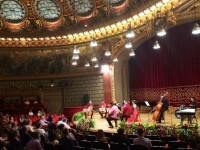 Concert at the Romanian Athenaeum.